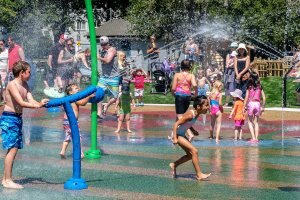 Thousands of children and their families will splish splash their way through summer at no cost for many years to come with the opening of the Ladner Rotary Splash Park on July 14, 2018. Over four years in development, the new splash park, which replaces an earlier 30-year-old one sponsored by Kinsmen, features a child friendly, no slip rubberized surface, a water conserving system using timed controls and all new water play equipment. The theme of the play area honours the local farming community with farm related play features and 10 storyboards around the park. 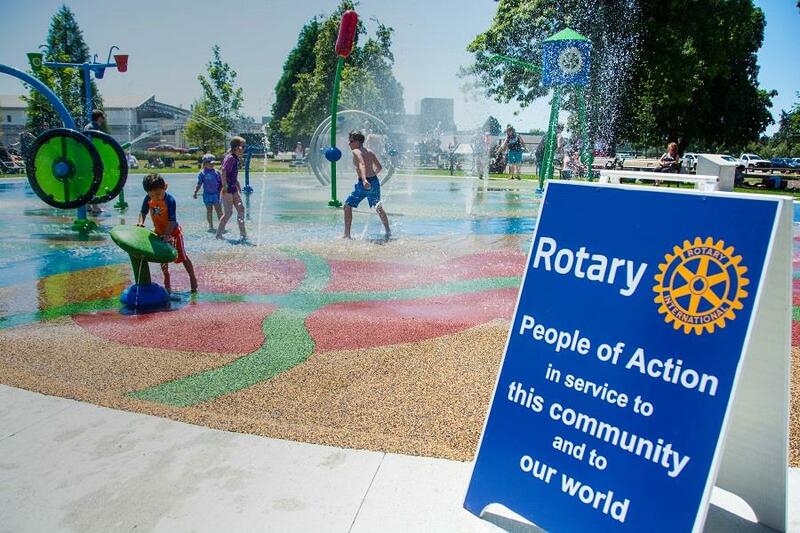 The $720,000 Ladner Rotary Splash Park was developed in partnership between the Rotary Club of Ladner and the City of Delta with the generous support of many sponsors and individuals, including grants from Rotary District 5040.. This Ladner Rotary Splash Park is the biggest project undertaken by Ladner Rotary which has served the Delta community and the world for 61 years through Rotary's network of 1.3 million members in 35,000 clubs across the globe.